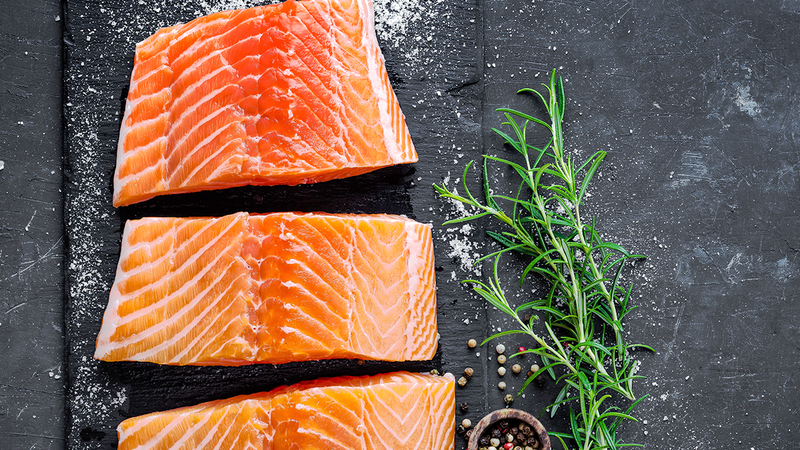 Fire up grills and guests with these lean, juicy salmon burgers. 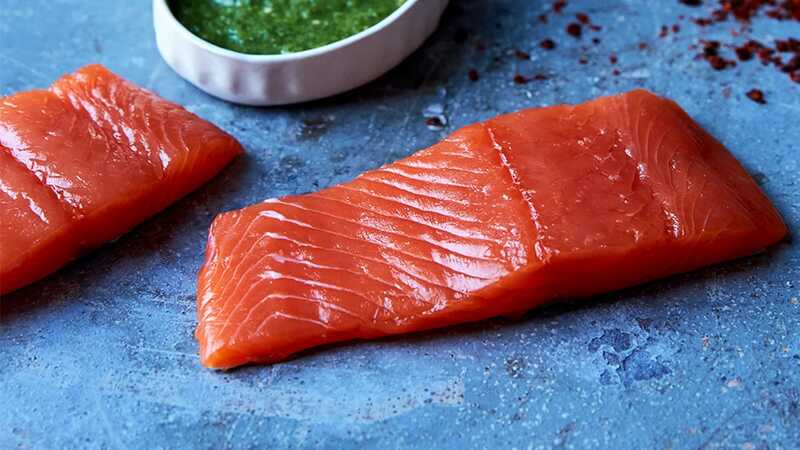 Fresh salmon is finely diced, generously seasoned with tabasco and then pan-seared for maximum crispiness before it’s topped with homemade tartar sauce. 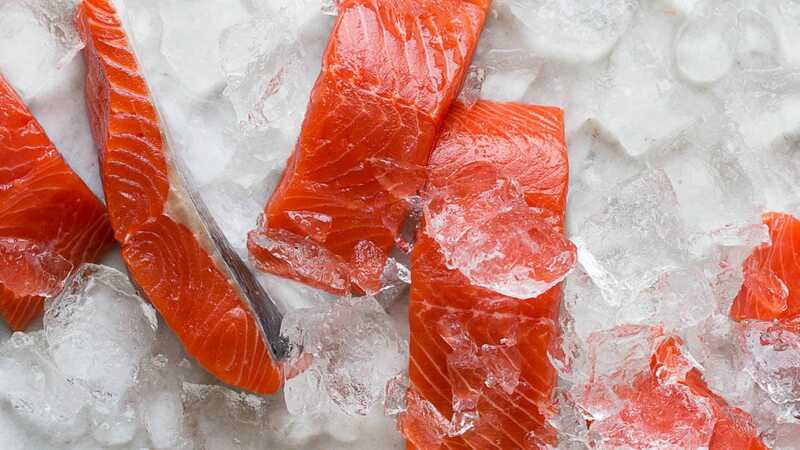 Cut the salmon into a fine dice and place the salmon in a medium bowl, over ice. Add the bell peppers and scallions, and combine gently with your hands. Season with the Tabasco, salt and black pepper. Gently fold in ¼ cup of the beaten egg white. Form into 6 patties. Place on a lightly oiled plate. Heat a large nonstick skillet over medium heat and put the olive oil in the pan. Arrange the burgers in the pan and place ½ tsp. butter next to each burger. Cook for 2-3 minutes to allow the burgers to set up. Carefully flip them over with a spatula. Cook for another 2 minutes or until nicely browned on both sides. 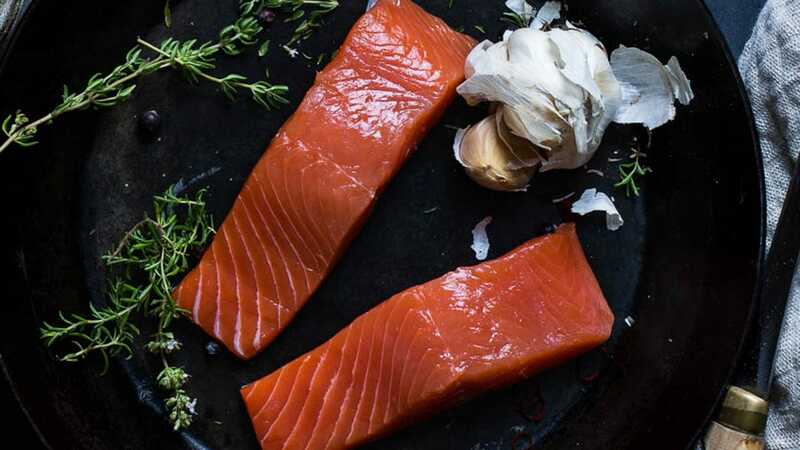 Remove to a small sheet pan. Set each burger on an opened potato bun and top with a thick slice of ripe tomato, a generous dollop of tartar sauce and some greens, and enjoy. Drop the cornichons, capers and shallot into a food processor. Process for a few seconds just to combine. Add the mayonnaise, mustard, herbs, lemon juice and white pepper and process for about 8 seconds to blend well. Scrape down the sides. Add the oil in a slow, steady stream. Scrape the tartar sauce out into an airtight container, cover and refrigerate for 24 hours before using.